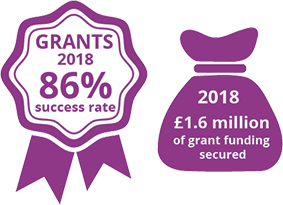 Act for Change Fund: young people leading social action is a £3.6 million partnership for organisations supporting young people working for change. The Fund provides resources for young people to challenge social injustice, find ways of overcoming inequality and give voice to issues they are experiencing. A joint initiative between Paul Hamlyn Foundation (PHF) and Esmée Fairbairn Foundation (EFF) in partnership with the National Lottery Community Fund, both foundations are acting as match funders and are awarding grants on behalf of the #iwill Fund. Act for Change Fund promotes the potential of young people with experience of disadvantage to devise and develop activities and programmes to shape the world around them. It aims to create a more diverse group of social, cultural and political leaders for the future.